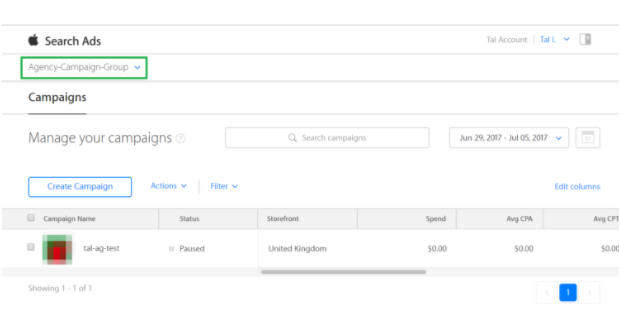 Advertiser/Agency Enables Attribution for Apple Search Ads. Advertisers can follow the instructions here on how to enable attribution for Apple Search Ads. Agencies can follow the instructions here on how to enable attribution for Apple Search Ads. 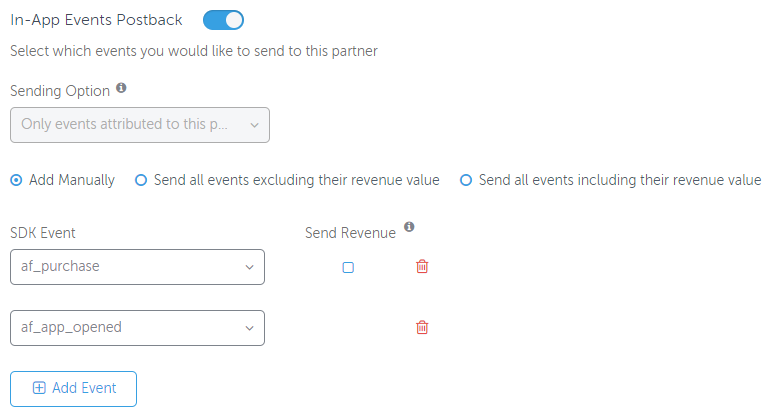 Click Integrated Partners on the left sidebar. Enter "Bidalgo - Apple Search Ads Marketing Partner" in the search box. Enter the name of the Apple Search Ads Campaign Group (or list of comma-separated names). 5. Copy the Campaign Group name highlighted below in green on the Apple Search Ads UI and paste it on the AppsFlyer Apple Search Ads Campaign Group parameter, as shown in the screenshot above. If the Campaign Group name has the same ID as the Apple Search Ads account (appearing in the upper right-hand corner), use the Account Name (also in the upper right corner) and not the Campaign Group name.